We are accounting professionals dedicated to helping the small business owners do the right thing from the start. Our tax and accounting professionals will help you every step of the way. 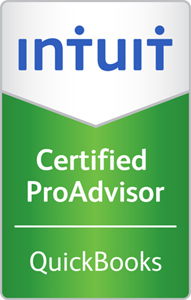 Imperial Accounting Solutions has partnered with Intuit.com to offer you an accounting software that will create your accounting books accurately from the start. The small business owners starting their business doesn't have to worry about paying high cost of accounting services when they come to Imperial Accounting Fl, we have the best pricing in the Tampa Bay Area for all in the USA. Guiding and Training you to understand the basis and the importance of having financial records that are accurate and in compliance. The longer we work with you, the more we’ll understand your business and the more you will know ours. We remain steadfastly affordable and focussed in our main goal to build a long-term relationship. We promise to provide you 100% work performance satisfaction of all of our services and to build a trustful relationship. You are the most valuable to us. We are excited about meeting you! To provide businesses with high level of accounting & tax services combined with an outstanding customer service at very affordable prices. Copyright by Imperial Accounting Solutions, LLC 2008-2019. All rights reserved.